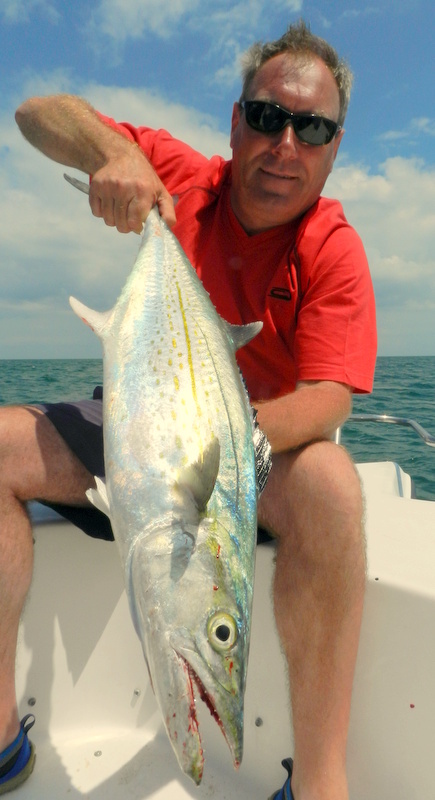 After doing our fishing holidays in the Florida Keys for now over 10 years and fishing here for over 15 I am often asked the question ” what is your all time best fish to catch “. 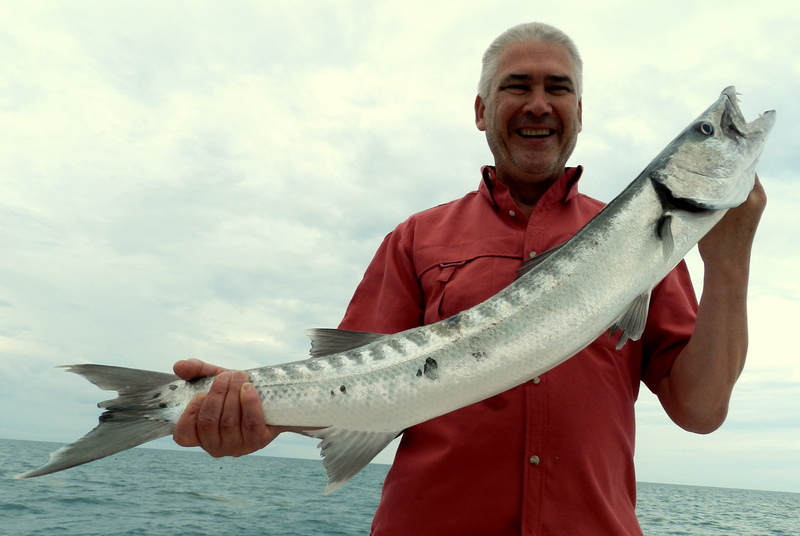 Well when one thinks of the Florida Keys tarpon is often the first choice then maybe permit sailfish and bonefish are well up there as well. 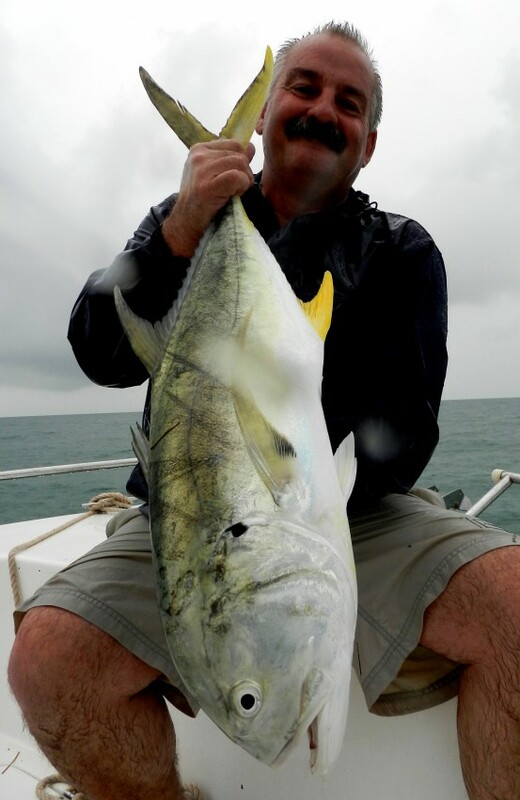 So what makes a top game fish, well I think it must fight hard long powerful runs the type that gets you thinking have I enough line and will this sucker ever stop. Jumps are good, nothing gets the heart going like seeing your fish airbourne and the feeling am I attached to that ! 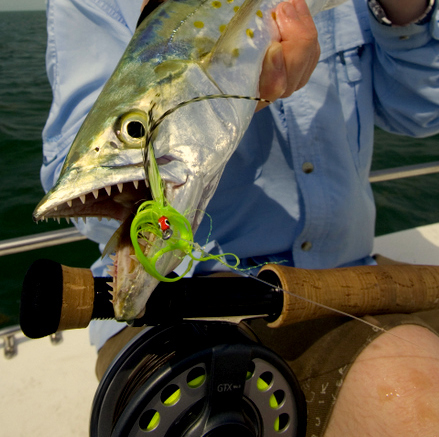 So when you put that lot into the equation you come out with tarpon and sailfish, both are seasonal and sails can be hard to find and tarpon which are night feeders more than often come off. 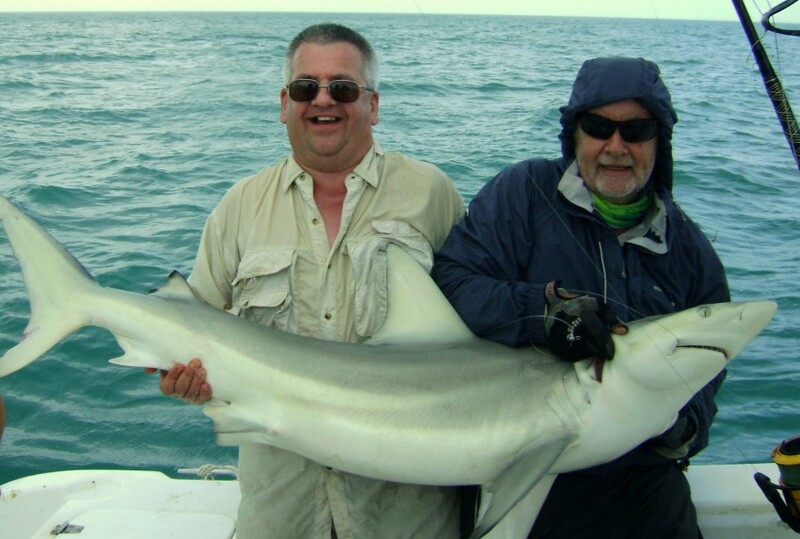 Well the other day with Kev’s party it came to me here in the Florida Keys we have a true game fish that ticks all the boxes the good old blacktip/spinner shark. These near 100 lb fish are here 24/7 do all of the above, easy to find, feed all day and stay on the hook for the most part and just look at the anglers smiles makes you think doesn’t it. Last week not only did the lads want to let Sid feel the pain of goliath grouper but asked could I get him an amberjack as well so like a good skip I ticked that box not a monster but at near 20 lb bent his rod as they say. Cool little vid of Kev no wasting time just catching one fish at a time when you can do two at a time. We had one of those sessions where it is a fish a cast this is often a shock to UK lure anglers, I have often seen guys cast away from the fish just to see the whole shoal turn and fight to be the first fish to get to the lure awesome or what. 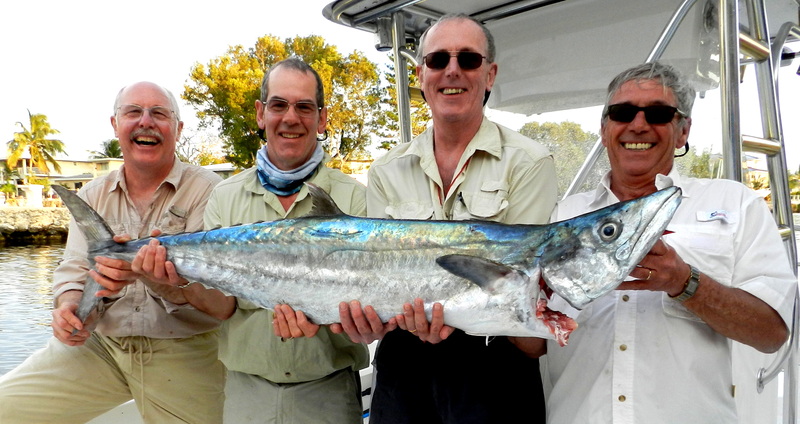 Comments Off on Ultimate game fish ? 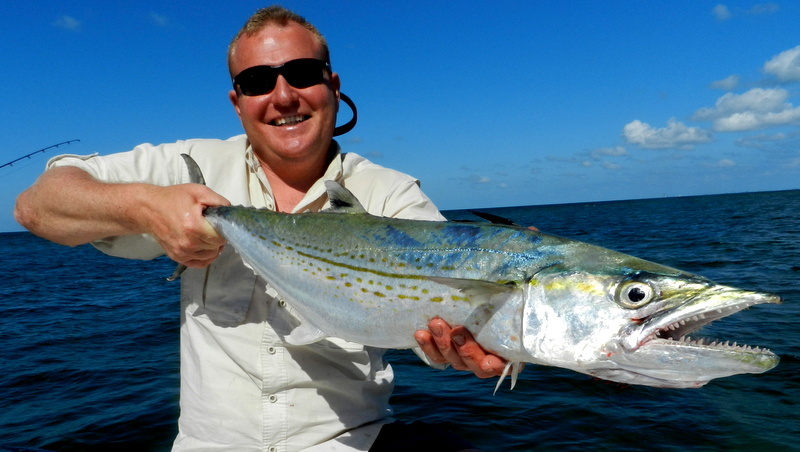 Well its great to be back in the Keys and for our first Fishing Holiday in the Florida Keys for this session it is good to have back Kevin and Dave who have brought newbie Sid just to show him all the stories are true. The only problem with this trip we are having an unusual wet spell, yes the sunshine state does get rain but even for us this this is not the norm but when you have a day as we did yesterday you just dont notice it and it was very warm rain. 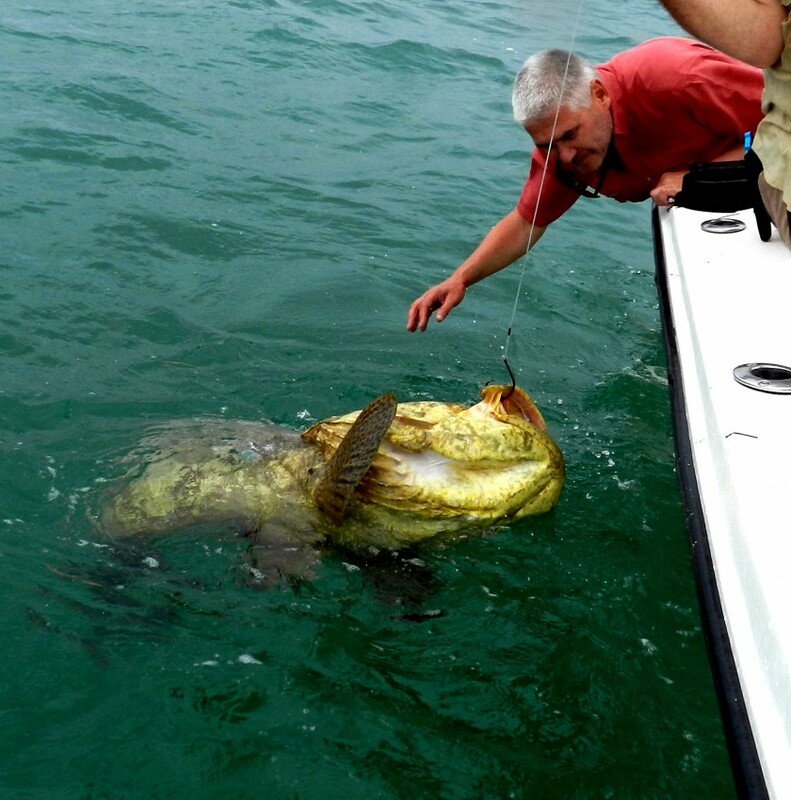 So Sid had been told all the stories about our goliath grouper so yesterday despite the rain we had calm seas so it was of to my gulf wreck that always has goliath and is also the one that has barracuda so lots of action. On arrival it was no time at all and the barra rods were on fire in fact the best day we have ever had on cuda , best was Kev’s at near 30 lb. The best thing was they were taking all different methods from metal jigs, poppers, lures and live baits some of the runs and jumps were off the scale so lucky to have this mark. So on to the Goliath and again they did not let me down, I been doing this now for over 15 years but it still comes as a hell of a shock to a newbie. First the 22/0 hook then the bait then the bait any thing up to 10 lbs is fine but me , so much drag it takes two hands to pull the line off on free spool. The takes can be right at the boat in fact the further away from the wreck the better, then the fight not a long affair but I just cant put the power into words but often three grown men are slammed into the transom with nothing you can do to stop the fish. Lost count yesterday but fish of the day was Dave’s well over 400 lbs and Sid was just left speechless all the stories were very true. 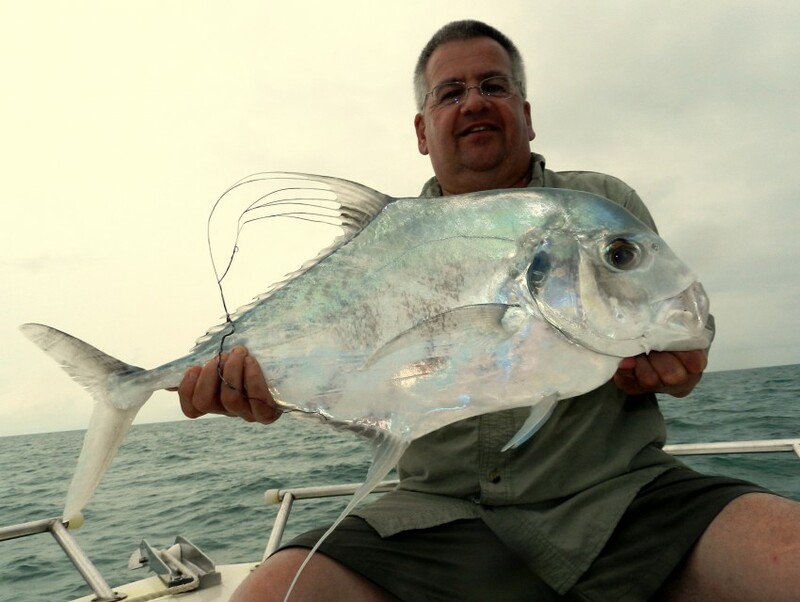 Some other good fish yesterday were African pompano again to Dave and one of the hardest fighting jacks I have seen for a long time to Kev but with Kev on the other end the fish was always going to lose. So to days float plan is an other gulf wreck start with maybe a couple of grouper then a serious go for big shark but looks like an other wet day but if the drags are screaming who cares. Comments Off on What a day ! Well this time next week I will, after what seems a long summer break , I will be back doing my normal day job of giving Fishing Holidays in the Florida Keys. 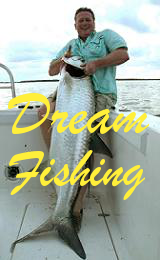 After fishing the Keys for over 15 years we start our 11 th season of doing custom fishing holidays and as we have a party coming for their 10 th trip maybe we are doing something right. 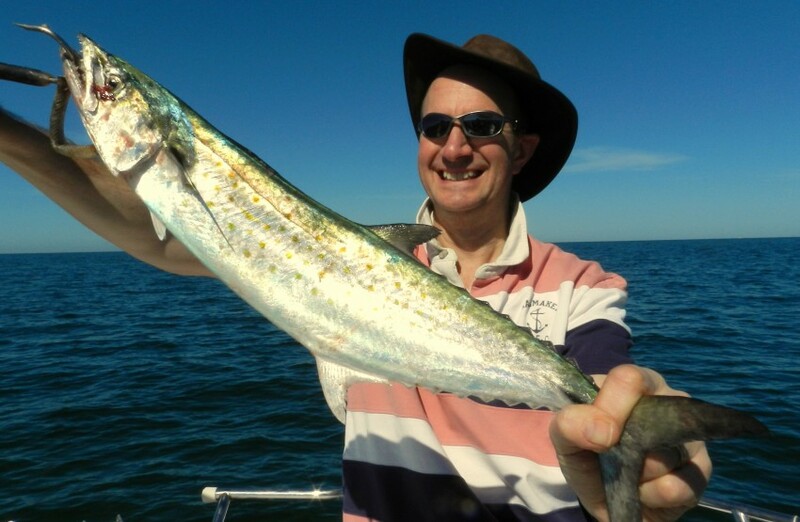 One of my personal favourites of the autumn and winter fish is the trio of Florida mackerel the Spanish, the Cero and the King. 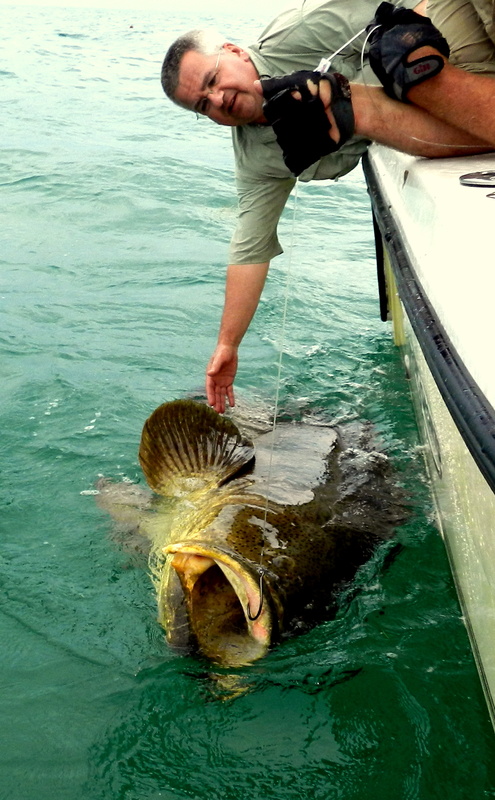 Apart from jumping out of the water they all seem to tick all the boxes of the traveling angler. All are very free taking, around sometimes in massive shoals and what ever floats your boat as a method they will take. 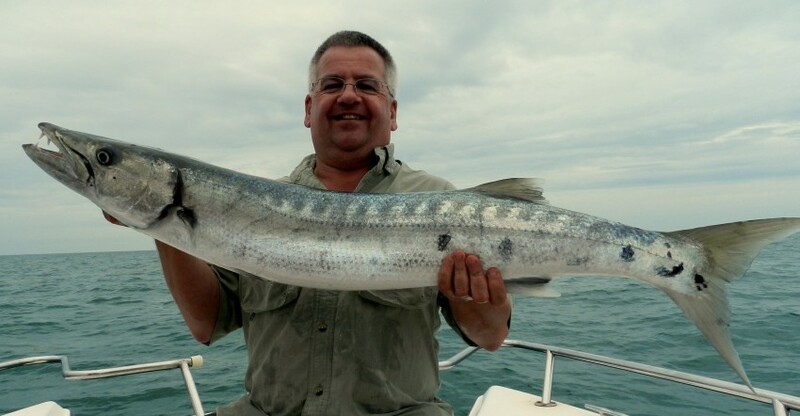 Live baiting tends to pick out the bigger ones of all species, the speed of a near 50 lb king hitting a live bait just has to be experienced. Then that first run, the line just peeling of the drag the look on the anglers face as if to say when or if it will stop always makes me laugh. 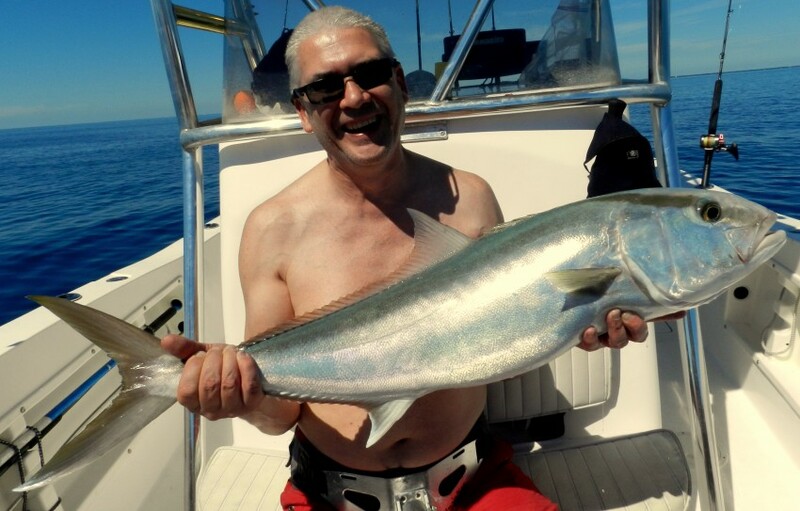 The other big bonus with all our mackerel is they are a top bait, whole or flapper for the shark which are never far behind and cut or strip for nearly all our other fish. On again an other personal note yet an other bonus they are top tucker, yes I love my fish and during the season very few weeks go by without mackerel being on my menu. In fact a few years ago with the start of the sushi crazy we had ago and I have to say fresh cero mackerel is right up there with tuna. 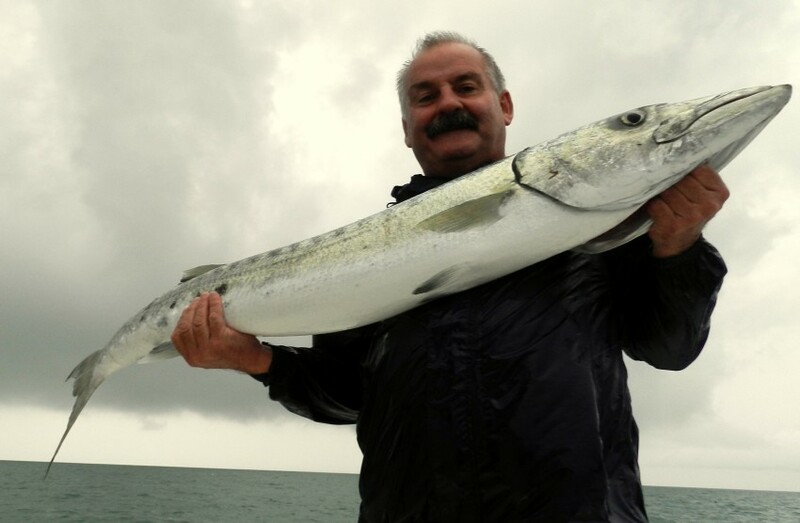 So as I start my 60 th year on this planet the last ten years has gone way to fast it seem like yesterday I was having my 50 th in the Keys, in fact some one pointed out ten years is as long as I have ever done one job but every smile on every anglers face has made the best ten years of my life so roll on the next ten.